Bring style and fashion into your home with these beautiful and unique decorative accent throw pillows. 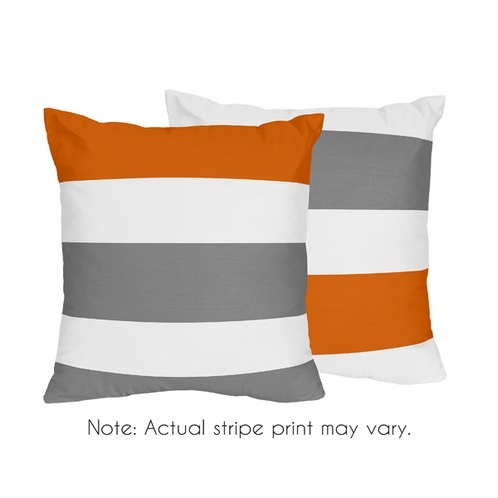 These gray, orange and white stripe brushed microfiber pillows are both stylish and practical. No need to buy a new sofa or bedroom suite just because you�re craving a change. Whether on a bed, chair, or sofa, these large throw pillows are a great and inexpensive way to get that instant makeover. Coordinates with matching bedding sets by Sweet Jojo Designs.